Businessmen and community organizations are entreating Mayor Sergei Sobyanin to return small-scale retail to a city that just three years ago was bursting at the seams with stalls and kiosks, Vedomosti reported Thursday. In a letter sent to the mayor last month, signatories deplored the worsening conditions for small business owners in the capital. "It is not only a dreadful blow to business, but a serious step toward the deterioration of urban residents' living environment. On many streets in Moscow it has become impossible to buy a bottle of water [or] a loaf of bread," the letter said. 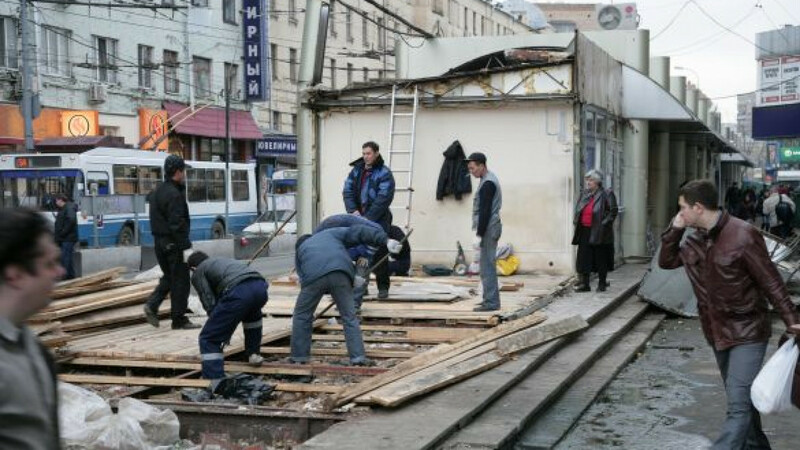 One of Sobyanin's first and most dramatic acts as mayor was to clear the cluttered city streets of kiosks, often requiring business owners to close shop within a single day. Sobyanin's program halved the number of Moscow's small-scale retail outlets. There were 22,000 kiosks and stalls prior to the development of the unified allocation scheme, which left only 8,552 year-round and 1,842 seasonal shops, according to Moscow's department of trade and services. The letter proposes adopting a program to develop different forms of mobile business and working out a legal framework for forms of commerce currently lacking in Moscow, such as vending machines, mobile commerce and retail delivery. Alexei Nemeryuk, the head of Moscow's trade and services department, said that the authors were somewhat exaggerating and there was no such dearth of retail locations in Moscow. The city is, however, planning to introduce new formats of small-scale trade, including automated and mobile retail, Nemeryuk said.